Every brand or business has a responsibility to get the word out about their products, services or mission. Unfortunately, the struggle is all too real for those competing in heavy contested niches, making it very difficult to attract a sufficient level of attention. Ultimately, there are many tools that brands can use to augment their reach – but only if those tools are used properly. PPC campaigns via search engines and other platforms have been proven to deliver phenomenal return on investment, but you need somebody with a specific set of skills. Today, we’ll talk about some talent-sets that you’ll want to consider when hiring or selecting your PPC campaign manager. Your PPC campaign manager may not find his or herself in the position of direct sales on a daily basis, but think about what your campaigns are trying to accomplish. 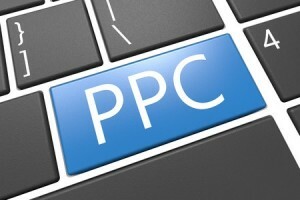 Ultimately, pinging users with PPC ads involves persuasion. In many cases, your ads may actually be attempting to convince somebody to make a purchase or comparable commitment. As such, hiring somebody with direct sales experience can be a godsend for improving and optimizing PPC campaigns. When somebody is in charge who knows how to market to people, the ad campaigns generally tend to deliver better results. Any PPC ad campaign manager is best served by having a strong vocabulary and excellent technical writing strengths. When your campaign manager is capable of pinging users with effective ad copy, your ads are that much more likely to succeed. From crafting the ad copy body to formulating headlines and calls to action, this aspect of digital marketing is highly important. When you are able to hire somebody who has the relevant experience and can manage this first-hand, you avoid having to hire additional employees or contractors to do the work on your brand’s behalf. Those who know how to craft ads are served well by also having graphic design experience. Anybody who can easily create images or edit them to fit a particular ad campaign can provide immense value to any brand’s PPC campaigns. Ultimately, any form of design experience is better than nothing: even if it’s not in graphic design, a good eye for potential problem areas or places where improvements can be made is helpful. This will help your brand pick the best images and multimedia possible to showcase your brand’s offerings. Are there any other talents you think would be useful in a PPC campaign? If so, leave us a comment below and tell us what you’d like to see in a PPC campaign manager!